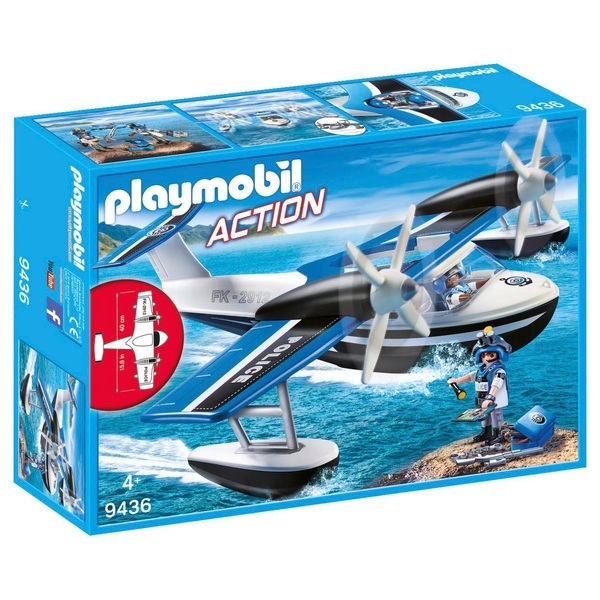 Patrol the seas and keep the area safe in the Playmobil Action Police Seaplane. The plane can float on water and contains 2 fully rotatable rotor blades. There is space in the cockpit for 2 Playmobil figures to head out on duty. With lots of accessories such as Police vests, helmets, clipboards and weapons, the set features everything necessary for a successful patrol.